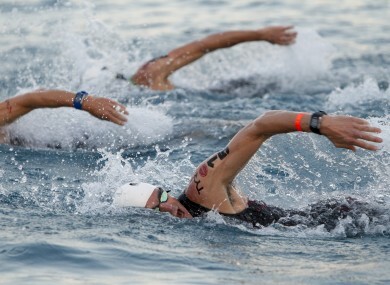 COMPLETING AN IRONMAN is something few of us will ever do in our lifetimes. To the uninitiated, an Ironman is a 2.4-mile swim, a 112-mile bike ride followed by a marathon of 26.2 miles, all within a time limit. So it’s fair to say that the training and dedication required to complete one of these monsters is insane. Those that do make it to the finish tell us the requisite sacrifices are many, but what’s equally difficult, and the reason so many fail on their first attempt, is the nutrition element of it. Staying fuelled for an event that takes upwards of 17 hours is no easy task and being a keen observer to events in KONA, Hawaii last weekend where the World Ironman Championships took place, we thought we’d share with you just what these slaves to punishment have for breakfast. The most important thing to remember is that humans are not camels and can only store a finite amount of calories at any one time, so it might be surprising to hear that those attempting an Ironman don’t actually have that big a breakfast at all. Now, during the day of the event is a different story but for now, let’s focus on the breakfast only. It’s easy to fall into a trap of believing it’s necessary to eat as much as possible beforehand but what this will do is make you feel tired and bloated and could have a detrimental impact on the first leg of the event, the 2.4-mile swim. So, unless you’re part of the growing number of fat adapted athletes we alluded to in this piece last week stick with a breakfast that consists of mainly carbohydrates and protein. Bearing in mind that this meal will most likely be in the dead of night it’s important to get used to foods and as mentioned already, never, ever experiment on race day. Email “Ironman breakfast – what do the world’s fittest athletes have before the race?”. Feedback on “Ironman breakfast – what do the world’s fittest athletes have before the race?”.